Truly understanding and knowing what your visitors do on your site is a luxury that all ecommerce entrepreneurs wish to have. Having access to that kind of information can help you to optimize your storefront and increase conversion rate. In a previous post, we talked about how it is different when you have a physical store. You can see the people walking in and see their behavior first hand. You can also talk to them to get more information on what exactly they are looking for. And to get that kind of information when running an online store, you will need help from Google Analytics. But analytics can be confusing and mostly focuses on quantitative data (also known as numbers). How would you like to know where visitors are clicking and what exactly they are doing on your site? Well now you can. Hotjar is a kind of analytics tool that help you gather “qualitative data”. It uses technology such as heat maps, recordings, funnel tracking, user polls, surveys and more. Gain better understanding of what visitors are interacting with. Compare clicking patterns between desktop and mobile version of your site. See actual recordings of how visitors move through your site. Get real-time feedback as visitors are browsing through your site with responsive surveys. 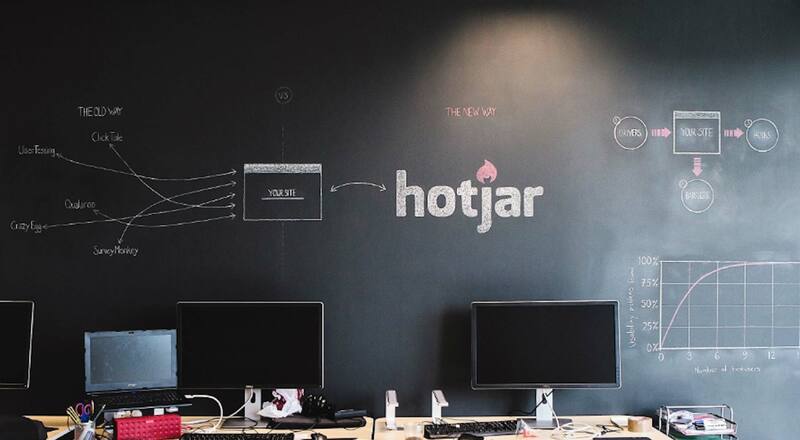 Hotjar is a fantastic way to understand the people interacting with your brand and using your website. No website is ever complete. Hotjar provides that instant feedback for continuous improvement. Now you don’t have to run your online business blindly, not knowing anything about the people who interact with your business. Hotjar is now integrated with EasyStore. You can start seeing where visitors are clicking and see recordings of them using your online store in no time. Install the Hotjar app to your store. Sign up an account with Hotjar. Put the tracking code into your store using the Hotjar app you installed. Hotjar All-in-one Analytics and Feedback Tool is a great addition to further enhance your online business. Start optimizing and provide a better experience for your online shoppers.